Alamo Amusements owns and operates several portable amusement rides and specializes in children's and family attractions. Alamo also owns The Lone Star Scooter at Fair Park. One of the fair favorites during the annual State Fair of Texas. Lay on your stomach and fly like Superman on this thrilling ride for adults and children. A crazy mirror maze followed by a mirror hall and finished with a twisty slide. Eight oscillating whales for all ages. It's a whale of a time! A plane ride for all of your future pilots! Fly up up and away and spin round and round on this amazing balloon ride! A classic favorite made small for the tiniest of tots! A swing for the smallest of kids, with your favorite Nickelodeon characters. Ride alone with us on the Safari train. A great ride for youngsters and adults. 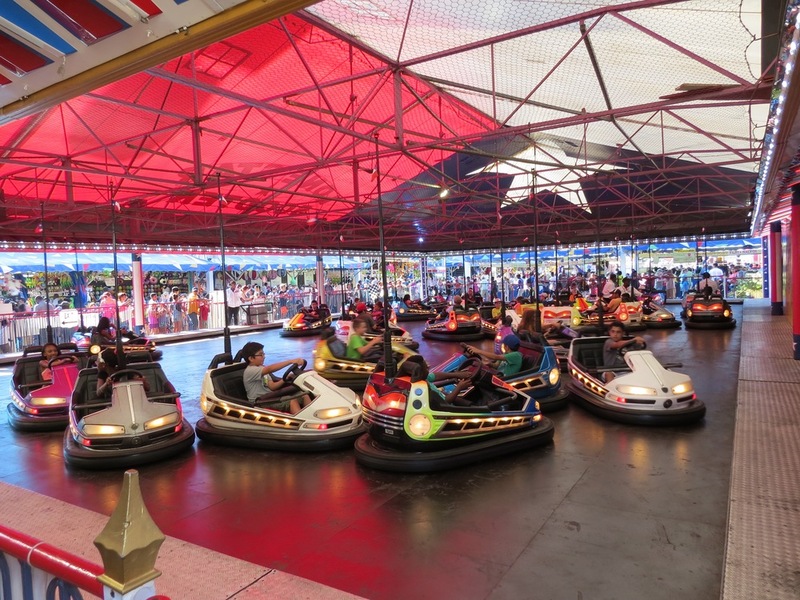 31 bumper cars for all ages! Permanently located at Fair Park in Dallas, Texas and proudly possesses the largest Texas flag in the State.